Empty fake pancake shop next to real pancake shop, during the day. 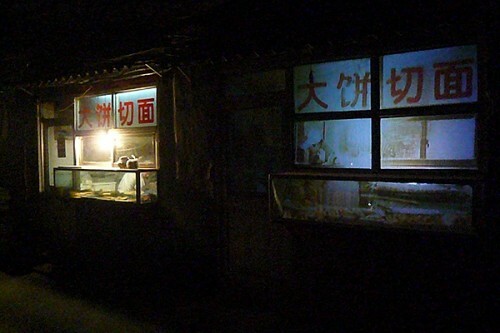 Projection of pancake shop next to real pancake shop, during the night. 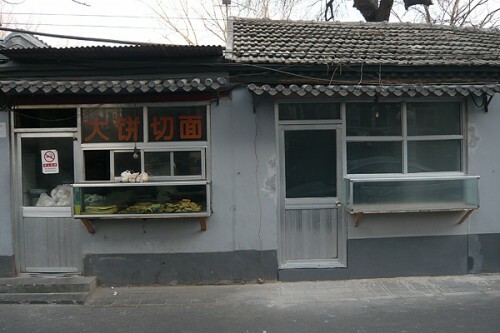 By artist Wang Gongxin, hosted by the Arrow Factory, about Beijing-classic hutong pancake shops. Goto Arrow Factory’s webpage, or the exhibition’s facebook page. Any insights on this. I’m confounded?? Not specifically, no… I think of it as a general “oh cherish our assumed surroundings” piece.